Google Earth image taken before we bought the land and lakes to the left of the railway line. To the left is Pipe Lake for members and&nbsp;top is Oak lake that is for day tickets. 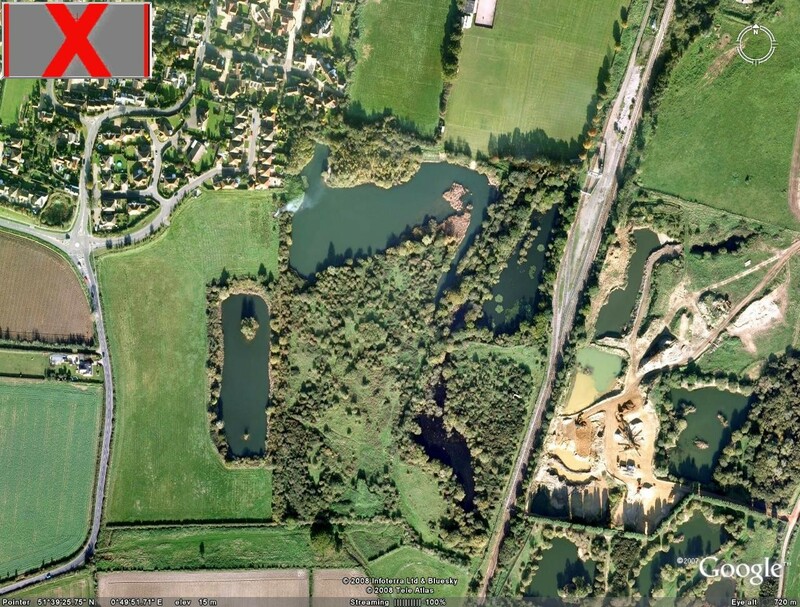 The catfish lake that will open in 2011 is bottom right and above that is the &quot;Railway Pit&quot; that is fished exclusively to its own members currently.